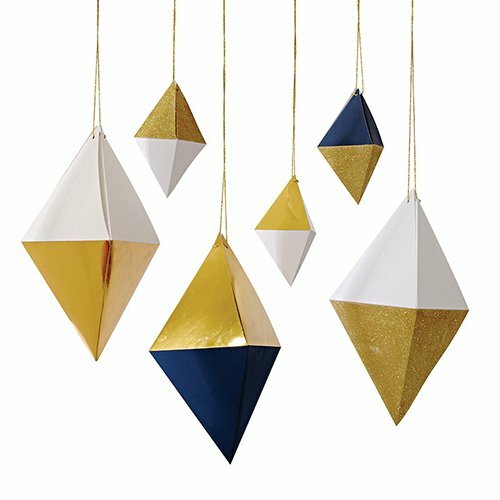 Add the finishing touches to your shower, ceremony, or reception with these gorgeous hanging gem decorations. Available in a variety of size and color options, you can easily mix and match for a 3-dimensional decorative look. Each hanging decoration comes in gold fold or gold glitter, with matching luxury gold twine.